Is there a new “omics” coming to health care? 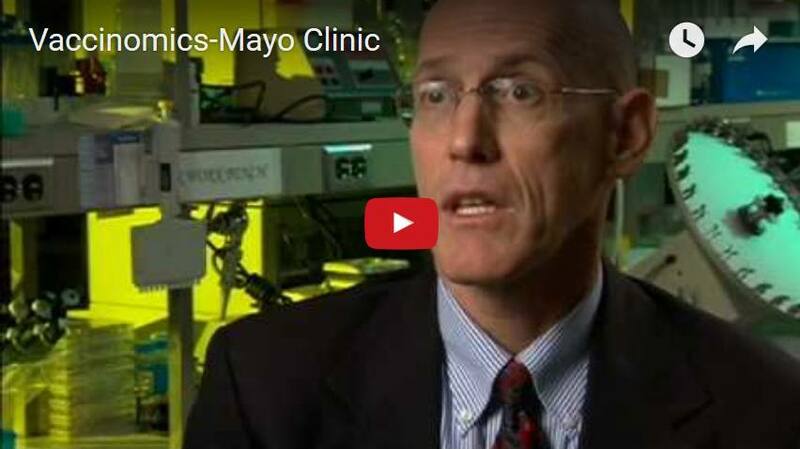 Here at the Mayo Clinic Center for Individualized Medicine we have epigenomics and pharmacogenomics. We have clinomics, and faithful readers of this blog know we love discussing genomics. Now, doctors at Mayo Clinic are pioneering a new field of research called vaccinomics. Their hope is to be able to use gene testing to find out exactly who's at risk of getting the flu, who will benefit from the vaccine and who won't. Since the first vaccine paved the way for the near-eradication of smallpox over 200 years ago, societies have looked to vaccines as a means to stop the spread of infectious diseases. Today the same concepts are being called upon for new disease threats including Ebola and Middle East respiratory syndrome (MERS), and the continued reemergence of diseases such as influenza strains that have existing but problematic vaccines. 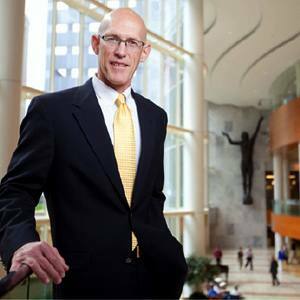 Gregory Poland, M.D., a founder of Mayo Clinic’s Vaccine Research Group in Rochester, Minn., says the future of vaccine development must include far more than discoveries in the laboratory. “Several factors have stopped vaccines from achieving their full potential in preventive medicine,” says Dr. Poland. “To succeed we must recognize and address the various economic, social, and scientific barriers that have mitigated their ability to improve public health.” To that end he is recommending a major bolus of public funding, improved education and a strong dose of individualized medicine. The cost to bring a new vaccine to the market is about $1 billion. Once produced, vaccines have a limited shelf life, and it is often difficult to predict when they will be needed. Accordingly, the initial return on investment fails to meet the profit incentive common in Western nations until it is far too late. Even if a vaccine is able to overcome the hurdles of development, there is no guarantee that patients will choose to use it. Misinformation resulting from discredited studies and rumors about the prevalence of severe side effects have significantly increased society’s perceived risks of vaccine use. Dr. Poland believes the solution largely lays in improving communication. “The truth is, severe side effects from vaccines are so rare that I cannot study them,” he says. “In most circumstances, vaccination compliance issues need to be addressed through education. We must train physicians to translate evidence about side effects using a blend of analytical and emotive approaches in order to meet the distinct cognitive learning styles, and biases of patients.” In other words, communication must be individualized, as one approach doesn’t work with everyone. This may change from one medical practice or one demographic to another, and certainly from culture to culture. Additionally, the effectiveness of many vaccines has been limited by the “one size fits all” mentality that dominates this field of scientific research. In the current era of genomic medicine, it is naive to assume it is enough to develop and distribute one vaccine for a given disease in such a genetically diverse world. Accordingly, Dr. Poland has pioneered the scientific field of vaccinomics, which seeks to optimize vaccine responses based on patients’ genetic backgrounds. Dr. Gregory Poland discusses the new field of research called vaccinomics. This article originally appeared online in Discovery’s Edge, Mayo Clinic’s research magazine, always a great source for updates on what’s happening in research at Mayo Clinic.